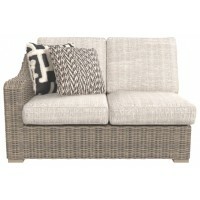 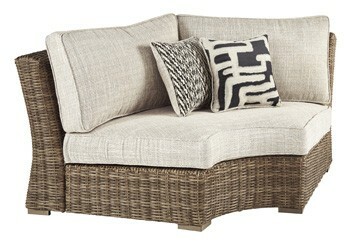 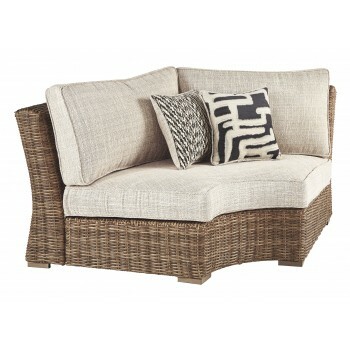 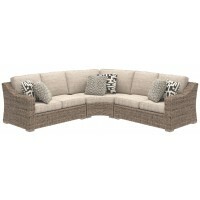 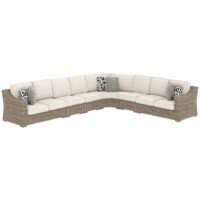 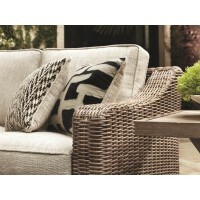 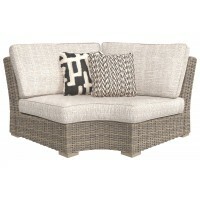 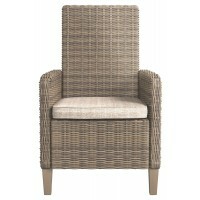 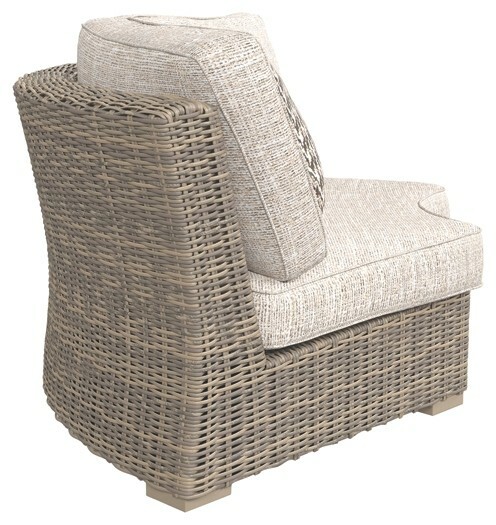 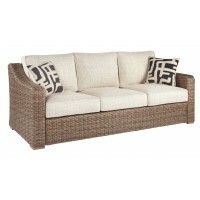 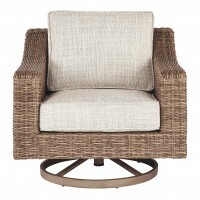 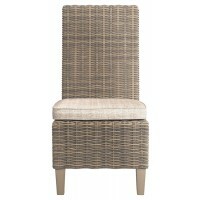 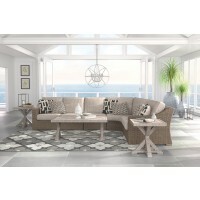 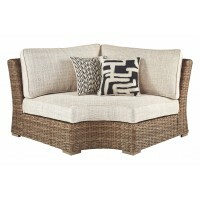 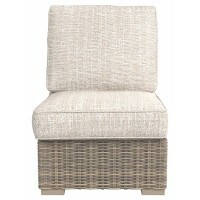 Beachcroft Curved Corner Chair with Cushion | P791-851 | Sectionals | Martin-Sale Furniture Co. Inc. 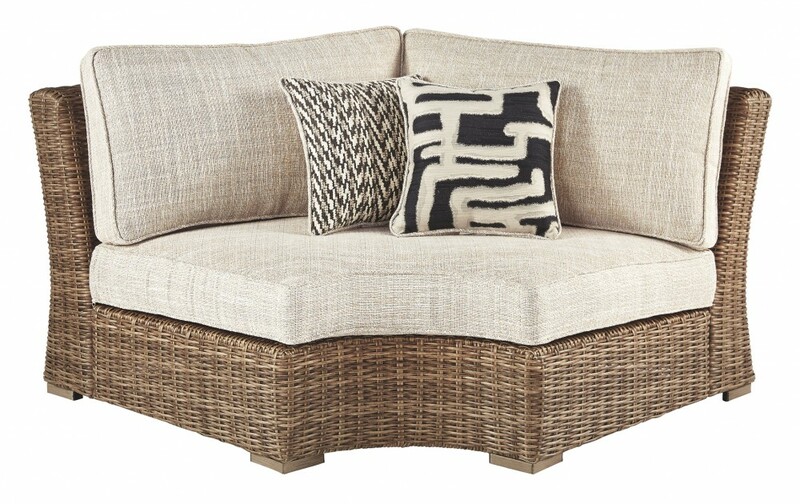 Sporting an easy-on-the-eyes look inspired by driftwood, this curved corner chair with cushion elevates the art of indoor-outdoor living. 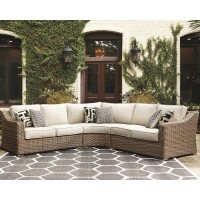 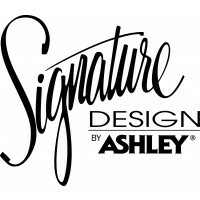 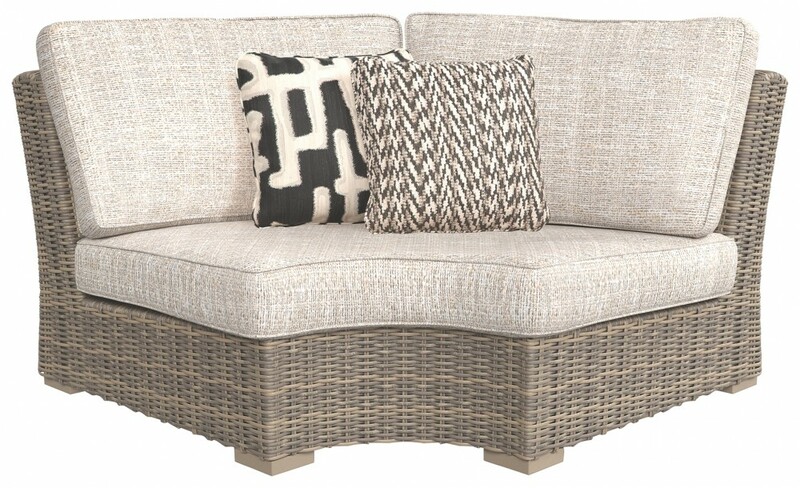 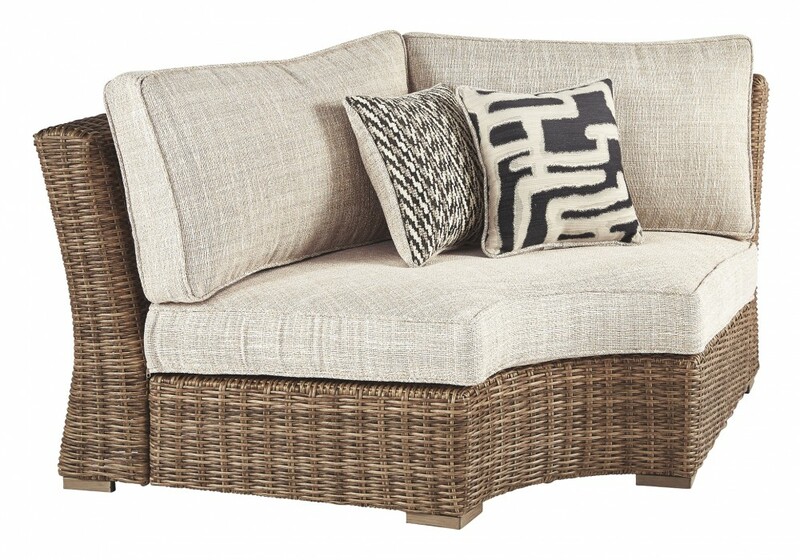 Beautiful and durable enough for indoor and outdoor use, this high-style/low-maintenance sectional chair entices with plush, removable cushions wrapped in Nuvella® fabric that’s a breeze to keep clean.